WHEN some familiar faces walked down the catwalk during this season's fashion shows, the geek in me just couldn't help but get excited. 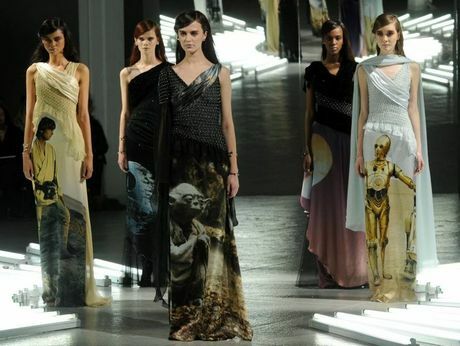 The Force was strong with Rodarte's Fall 2014 collection which debuted last month during Fashion Week in New York. The fashion house showed gorgeous flowing dresses with a series of Star Wars themed looks. Gowns were emblazoned not only with characters of Yoda, Luke Skywalker and C-3PO, but also more discreet references to the cult-classic trilogy. One off-the-shoulder and ruched gown had a Death Star (the moon-sized military battle station equipped with a super laser for destroying planets) printed on the side and another featured Tatooine's twin suns. 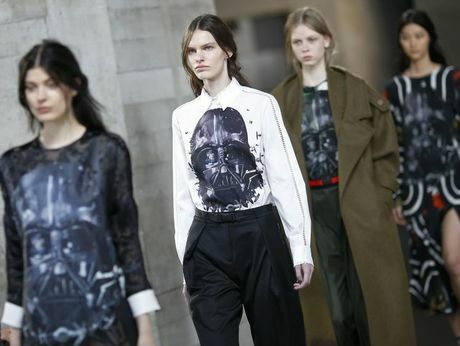 And it seemed Rodarte's line of geek chic could have started a new trend; Star Wars made another appearance during London's Fashion Week Show with Preen's Darth Vader designs for Fall/Winter 2014. 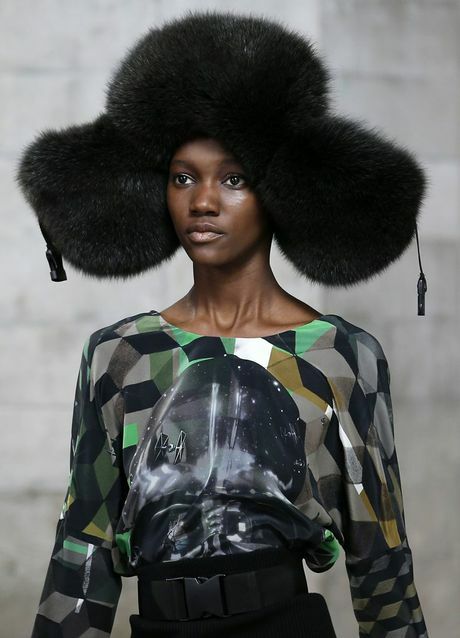 This collection gave us something Rodarte's line seemed to be missing - and that was the iconic Darth Vader. I think this line was a little bit more out there than the previous, thanks to the edgier geometric patterns and cut-outs. And last but not least, jumping across fandoms, The Blonds took inspiration from Batman's own Gotham City for their own autumn and winter 2014 collection. While Batman didn't feature, a Joker-inspired white dress made the top of the cool list. The long-sleeved, high-collared dress featured a big, red, smiling lips and a big green shawl. More outfits featured a cityscape much like Gotham City on pants and a jacket and a sparkling cat suit that would make any girl feel fabulous. All in all, all three collections are a great example of how high fashion can mix with nerdy. If I could afford it, these outfits would be in my wardrobe.